NOTICE: NOS' upgraded FVCOM-based Lake Erie Operational Forecast System (LEOFS) became operational on May 3, 2016. 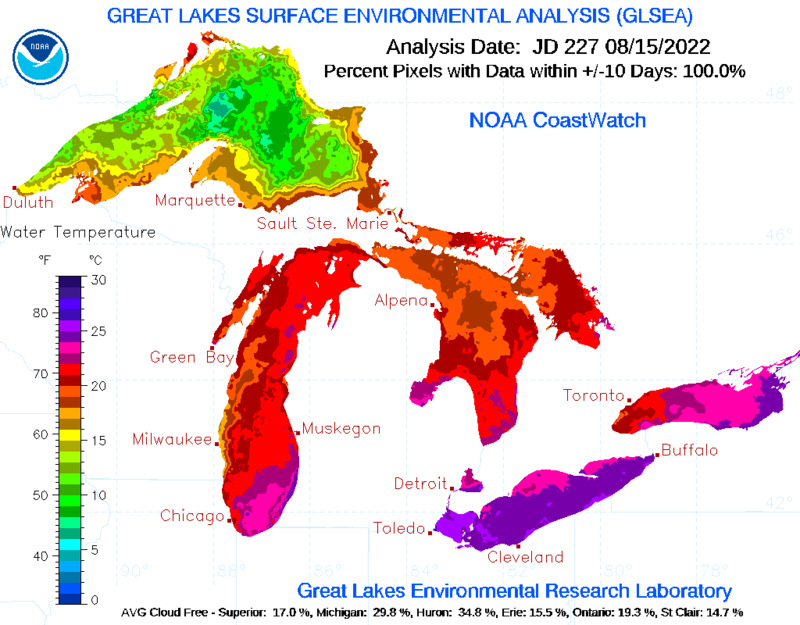 This is NOAA's official forecast guidance for Lake Erie hydrodynamics, including water temps, currents, and lake levels. At some point in the future, GLERL's research version will be terminated, and the operational version will serve as its replacement. For more information on the upgrade, transition, and contacts, please refer to the Technical Information Notice. output for a given location and time period, 2006-present.